If you’re like me, you’ve searched the web for how to save money each month on your grocery spending. No matter how many people are in your family, some factors affect everyone. Buying organic, non-GMO products are going to cost more. Buying steak (or most meats) will increase your spending. Eating more rice and beans will lower your costs. But those aren’t the biggest factors. 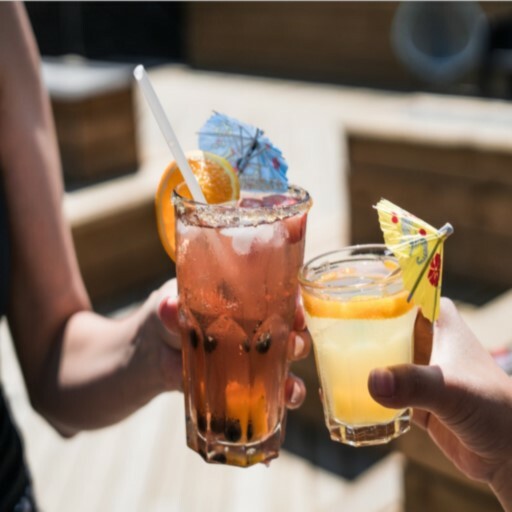 You’ve probably read lists of what to cut out to save dollars (like 13 Things to Stop Buying to Save Money in your Food Budget), and you’re likely familiar with comparing unit prices and using coupons and sales wisely. But do you know how to save money each month on your grocery spending? 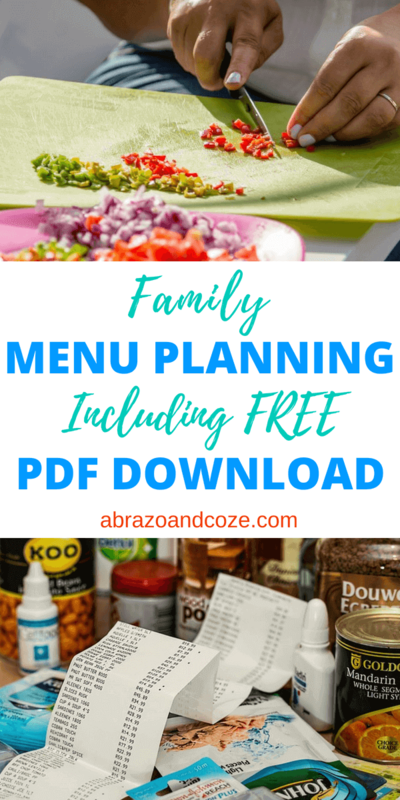 You need to do family menu planning. You might be thinking that menu planning is hard, and that you tried it once or twice and it didn’t work, for umpteen different reasons. But that was before you learned it could be a really simple process. I’ll outline exactly how for you today, so you can start using a meal plan and saving money straight away. If you’re feeling unmotivated, think about your goals. 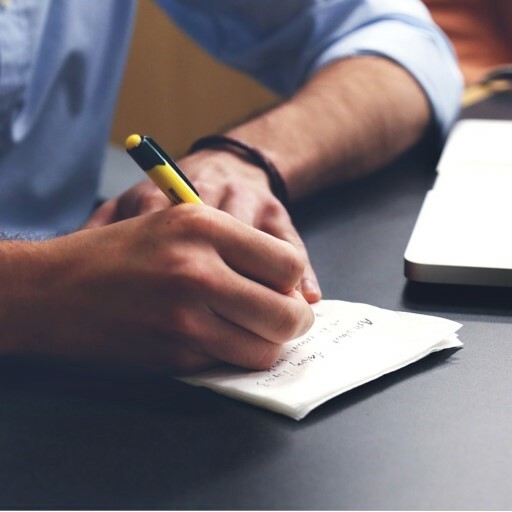 Reminding yourself why you’re trying to cut your expenses will help you stay focused. My eldest daughter (Cat, 21) has recently begun sharing a household. Knowing that I use a meal plan to save money, she asked me how to create one for her home. (Because when she actually lived at here, teen aged her knew everything and Mommy knew nothing. Fortunately, that’s changed, at least a little.) This post is as much for her as it is for you. Family (that’s her) and friends (that’s you) are the best people to share with, after all. 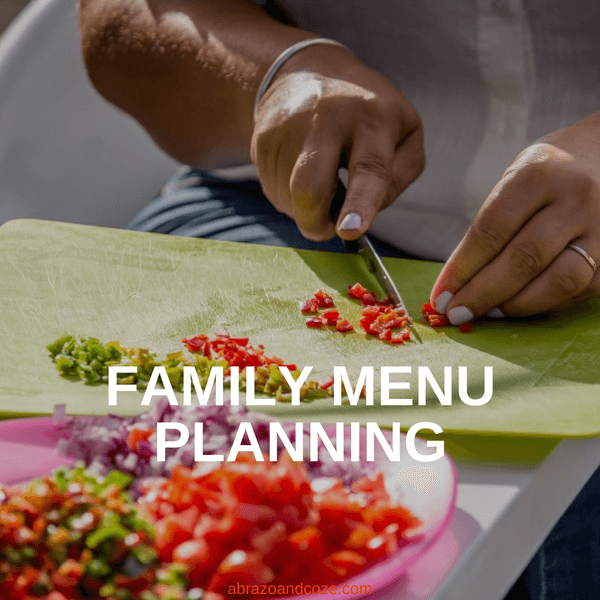 What Is Family Menu Planning? 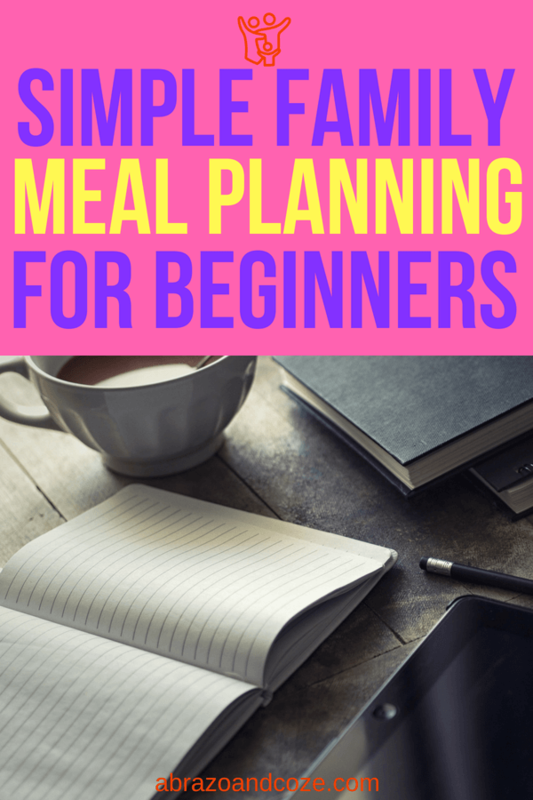 In simple terms, family menu planning is a relatively easy way to keep your grocery budget in order. By pre-planning what food you’re going to serve your family for a specific length of time (a few days, a week, a month, or longer) you can make all your meal choices at once. It lets you stay focussed on the task. You know you need it if it’s on your list, and you know you don’t if it isn’t. If it’s on your shopping list, it is needed for your meal plan – that’s why you added it to your shopping list! Family meal planning also allows you to ensure you’ve got basic nutrition covered. When you plan, you know you’re getting a variety of types of foods. If you or someone in your family has special dietary requirements, you can ensure you’ll have food in the house that everyone can eat. Not having that rotting food in your fridge also saves you time – you’ll spend a lot less time cleaning out your fridge when there aren’t a bunch of food items taking up space in there… and you won’t have to clean up goopy, gross messes, either. (That’s a big motivator for me… I HATE cleaning the fridge when something has gone rotten and oozed out its disgusting decomposed grossness.) I’d rather spend my time cooking (or eating) than cleaning any day. At my house, we tend to have fairly repetitive breakfasts, snacks, and lunches, so I don’t usually do any kind of meal planning for those meals. I find it makes shopping (and meal prep) simpler to keep things similar every day – cereal for breakfast, soup, sandwiches, and fruits or vegetables for lunch, plus yogurt, crackers, granola bars, and fruit or vegetables for snacks. That’s the extent of my family meal plan for everything but supper. Although the following steps are what I use to plan our suppers, you can follow the exact same steps for the meals you want to plan. There are a few steps involved in planning a good menu. First, you make a list of the foods your family eats, then you slot them into days. Let’s go through that process with a bit more detail. 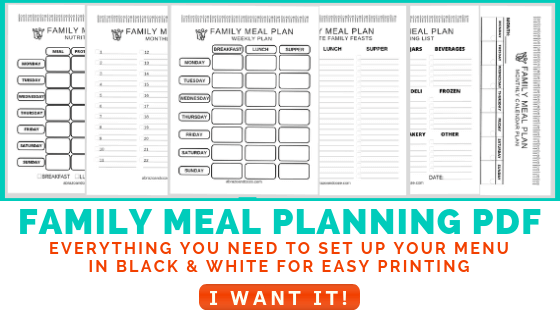 Although you can make your plan on any scrap of paper, I’ve made a pretty black and white Menu Planning PDF file that you can use to follow along. It’s located in the Tickle Trunk (check your last newsletter for the password, if you’ve forgotten it). If you aren’t yet a subscriber, just click the “I WANT IT!” button below. The password and link to the Tickle Trunk is within the welcome email, so you’ll have to pop over to your email to confirm, then print. Once you’ve got them printed, come back and let’s get planning! Many people think planning supper is challenging. Too challenging. So challenging that they don’t bother planning it at all. There’s this societal expectation that supper will be something “special” – some big meal at the end of the day that needs to be different every day. No duplicates allowed. But supper doesn’t have to be a challenge. On the Favourite Family Feasts sheet from the printouts, list all the supper meals your family eats. 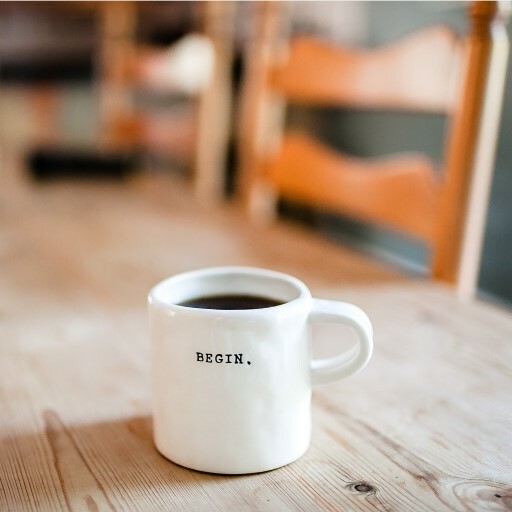 When I first started planning, I found it useful to think back over the last couple months, because there were meals we ate infrequently, that we liked to eat, that I didn’t remember on the first list I made. Feel free to ask your kids (and spouse) what their favourite dinners are, too. You might want to schedule them in more often if they fit within your budget. Or not. No need to be really detailed in this step. Just “pierogies” works better than “pierogies, onions and bacon, and side salad” for this exercise. If any meals listed are only for special occasions or weekends, you’ll want to star those, so you don’t accidentally schedule them on the wrong days. You’ll notice I included columns for breakfast and lunch. That’s just in case you want to plan those, too. You can use them for more supper ideas, or just leave them blank if you don’t want to plan those meals. Consider your weekly schedule. Note which days you need a FAST supper, because you have evening plans regularly on that night (for instance, kids go to piano lessons, or ballet, or hockey practice, or you have a regular social outing or club meeting). Go back to your list and highlight or circle the main meals that are quick to make (maybe a crockpot meal, or a freezer meal you previously prepared, pizza, or pasta, etc). In the past, when I’ve created a plan, without accounting for my family’s schedule, the plan has quickly fallen apart. I would end up with longer meals on days I needed something fast, and then had to change it up on the fly. After a few occasions like that I’d stop following the plan completely because it just wasn’t working. Don’t be like me. Account for your schedule. At this point, you’ll need to decide if you’re going to schedule a week or a month. In the Menu Planning Package, you’ll find two weekly planners and two monthly planners. You’ll notice on one weekly planner, you can include breakfast, lunch, and supper, and the other is to be more specific with just one meal. At my house, I like to make sure I have a protein, a carb, and a vegetable or fruit at each meal. Since breakfast and lunch are very similar each day, I don’t plan those out on paper. If you do want to plan those, use the planner that includes those options. For supper, however, I find it much less stressful to know what I’m putting on the table, so I use the weekly planner with the food categories. That said, I also like to plan the main part of the meal for a month at a time. (I’ve been known to do 3-4 months at a time, and just change things up seasonally.) For me, I do the monthly calendar, and then on a weekly basis (or every second week), I’ll fill in the extra details (carb, protein, veg/fruit), so I can take best advantage of any sales. Personally, I prefer the vertical monthly planner. But I know others like the month to look like a regular calendar, so have included that option. The only difference between the two is the layout. If you’re going to plan a whole month, choose your format, and fill in the dates. On the regular calendar, fill in the number of each day in the circles. Make sure you start on the correct day of the week. Now that you’ve chosen your weekly or monthly calendar, let’s start filling in options. Look at your list of suppers… Specifically the meals you identified for nights you need a fast dinner. Slot those into the weekdays you need a quick meal. On the categorized weekly planner, write it into the “Meal” category. We’ll come back to the rest of the categories later. For the remaining meals, jot them down in the calendar for the remaining days. If you like, you can get a little “fancy” with your rotation if you’re planning a whole month… maybe you love pasta and want it every week, but hot dogs only once a month. Work meals in with your desired frequency by categorizing your meal list a little further. Beside each main dish, note how frequently you prefer to prepare it (1/month,1/week, 2/month, etc). If you’re having tacos every week, go slot that into taco night (Taco Tuesday is everyone’s favourite at my house). If you’ve got 3 dishes that you want every second week, you can either opt for rotating every three weeks (week 1: pizza, week 2: pasta, week 3: chili, and repeat), or you can find a fourth dish to have every second week (week 1: pizza and pasta – on separate nights, of course, week 2: chili and sausages, and repeat). Lots of options to work with. Once you have those meals added to your schedule, fill in the holes with a rotation of the remaining dishes. If you don’t always plan on leftovers for lunches, you’ll want to schedule a day for leftovers for supper every now and again. If you’re using the categorized weekly planner, this is where you break down your meal into the component parts (protein, carb, fruit/veg). For instance, if you’ve scheduled pasta, you will have already written “Pasta” under the “Meal” heading. Under the “Protein” heading, jot down what your protein is (ours is often ground meat, but sometimes sausages, lentils, or spinach). Write “Noodles” under “Carb”. Under the “Veg/Fruit” heading, write “sauce” (you can be more specific if you like). Once you finish, you’re done. Relax, and reap the benefits of your not-so-hard work. In the Meal Planning Package, I included a shopping list. Now that you’ve got a menu plan, it will be easy to go through the plan before you head to the grocery store to jot down everything you need. If you keep it posted on your fridge, you can jot down things as you run out, as well. That way you won’t forget that you’ve run out of ketchup (or whatever it is for your family that always seems to be forgotten). 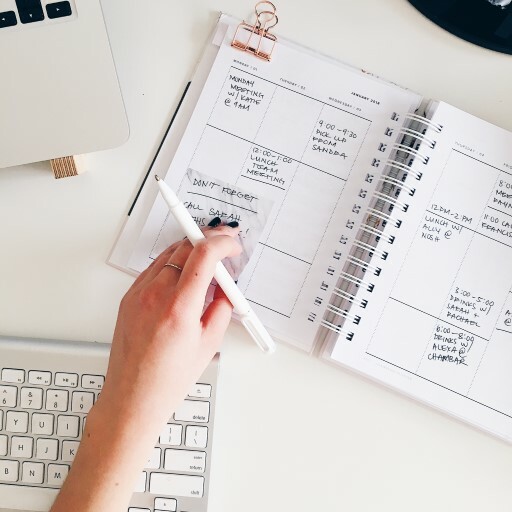 If you just don’t want to plan, or simply can’t find the bit of time needed to make a monthly plan, you can still find success with low-stress, lower shopping bills, and less time spent thinking about meals by subscribing to a nifty meal planning service. The Dinner Daily is available to anyone in the USA, and is priced surprisingly reasonably. And for the low subscription fee, they create your meal plan for you – based on your eating preferences AND on based on the sales and online coupons available for the store you shop at. They take the thinking out of menu planning and do it all for you with printable plans and shopping lists (including links to the coupons). What’s on your plan for supper tonight? Spread the love and share with your friends. Or, love yourself and save it for later. Anna Anderson is an ordinary, easy-going Canadian mom to three girls (Cat-1996, Monkey-2014, and Fang-2017). She enjoys life with her two youngest children, and her soul mate, Mr A, in Eastern Ontario. She has the requisite mountain of laundry (either dirty waiting to be washed and dried, or clean waiting to be folded and put away), her children get dirty and sometimes live life naked. Her goal here is to empower laid back families like yours to live your best life by providing practical solutions to everyday problems covering topics including kids, love, and life… without the stress of aiming for SuperParent status. Such great advice. I tried meal planning once, but I gave up pretty quickly. The steps you showed would make it easier, and something to stick to. ps. I do have celery rotting in my fridge right now! Everyone has celery rotting in their fridge (or some other vegetable)… I’m sure of it. I’ve been meaning to start doing this to eliminate the nightly stress of “what’s for dinner?” hoping to tackle this this summer! You can do it! It’s easier once you put pen to paper and just start. I love planning, such a great way to save money and time when you get yourself organised! I agree. I started doing it to save money, but love it even more because it saves me time! Great advice, I hate having to think what to make for dinner every night so having it all planned in advance would be great! I find it saves me time when I don’t have to think about it… no going to the cupboards and fridge and freezer to see what we’ve got and figuring out what I can make with it in the time available. I just recently started menu planning and although it takes a bit of work I actually save so much money this way! Man, I need to get better about meal planning! I hate letting food go to waste in the fridge. That’s why I like those meal delivery boxes. But they are super expensive! I like the idea of those boxes but haven’t tried due to price. If you use them, however, you could include them in your plan now and again till you’re more accustomed to doing it yourself. I love implementing strategies to save money. This is a great article with such practical and realistic advice. Thanks for sharing! I shared this on my husband’s Facebook page… I’ve been telling him we need to do this to reduce meal planning stress, spendless on food… And be healthier! Your robust article is the best resource for us to use! So glad you found value in the tutorial. Thanks for sharing it! I’m definitely going to try out the meal planning. I usually go grocery shopping every week and I tend to buy things I don’t need. It also increases the costs. I’m going to give it try and let you know. Thanks for the tips! This makes meal planning seem so much easier! I do a little planning but nothing formal. I think the thing that made it most difficult for me initially was that I added all kinds of new foods and recipes to my plans, and it takes so much extra time and effort to make new recipes. I haven’t given up on new foods (I include a new meal once a month), but learning something to just make a plan that includes the food we normally eat has made it so much easier. Great tips! We definitely need to work on meal planning in our house. It really is amazing once you start doing it. It’s one less thing to think about every day! This makes meal planning seem a lot easier than i thought it was. I’ve been wanting to dip my toes into meal planning to help reduce grocery cost & waste. Definitely will be trying it finally! I found at the beginning I had to remind myself to follow the plan. But once I got in the habit of doing it, following the plan was so easy. I grocery shop every week and I only get (well usually) what I’m making that week for meals. This is a great how to post!! Copyright © 2018-2019 Abrazo and Coze. All rights reserved.